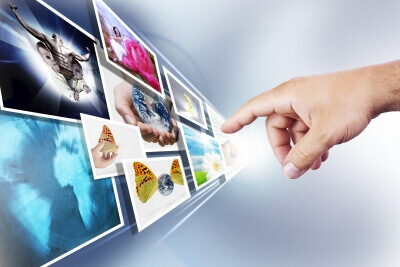 Images optimization is very important for better search engine optimization. Google loves and support a fast loading of the website. It also helps us in the field of SEO. Webmaster use big size images because they do not want to compromise with the quality of image. Many of bloggers and webmasters fail to decrease the loading time for their pages. And they totally ignored images optimization. Although there are a number of ways which we can adopt to decrease website page loading time. In fact, Google tends to reward sites with compressed images and fast loading. Many people use programs such as Photoshop or Gimp, manually compress and save in other formats. An excellent service to make everything automatically called Smush IT, a free service offered by Yahoo! to lighten the images to be included in a site. Here is a well known service Yahoo Smushit which can help you to optimize your images by decreasing images size. By using this service you are not compromising with the quality of images. The operation is very simple: just click on UPLOADER and upload your required image to compress. Once the process is complete you will have to download your new image compressed and optimized. Other option is you can also upload the image using URL tab. You will say its good, “but I should seriously have not used this service directly. It takes hours! If not days!! if I used this service directly visiting Yahoo SmushIt website. I am using WordPress and Yahoo SmushIt is available in a free plugin. Thats great so upload any images of my website/blog is simple as 1,2,3!! Here we find solace in a particular plugin for WordPress, Download WP Smush.it, that does this automatically. This plugin is able to process images with our algorithm to compress and SmushIt. This plugin clean unnecessary weight without any change in appearance or removing visual quality. Once installed, you will not have to configure anything. The plugin will do the job automatically. Click on “Media “of the administration panel of WordPress for each image you can see, the data relating to its compression. On the right you will see a word “Smush.it now!” which means that your images has yet to be compressed. Clicking the image will be sent to the voice service Smush.it and will be automatically charged on WordPress. To optimize all the images you need to click the words under the heading Media “Bulk Smush.it “, which will send your entire image to the service. I used Yahoo Smush before now am using a tool. Anyway both are fine. Image compression is very important to decrease site loading speed. Site with good speed draws more traffic. Which tool you are using for image compression? Tell our readers, so we would have more options for the subjected. I use Yahoo Smushit to optimize images for my blog and i will recommend it for any blogger out there anytime any day. Yes Nwosu its a great service. WP Smush.it is truly an awesome plugin, I personally use it on my blog and recommends it to my readers. One thing that I like the most about this plugin is it’s bulk Smush.it option which enable you to optimize your previously uploaded images. Tesur Rajan recently posted…How Can Bloggers Effectively Use Ethical SEO Practices in Blogging? Smush.it is useless. Better use modern tools like JPEGMini and CompressPNG. Smush.it is not even near in terms of compression ratio. What good in bulk option if it just doesn’t compress images. The quicker and better way is to install the Smush.it plugin and every time you upload a graphic the plugin takes care of it. You can also automatically optimize all the images you have already uploaded. Chadrack recently posted…How to Make Money Online Offering Technology Services!